I'm always looking for ways to make cooking meals for my family quicker and a little easier. This is one of my favorite convenience items in my kitchen: This is a microwave steamer. The brand I use happens to be Pampered Chef, however I know there are other brands out there sold at places like Wal-Mart. 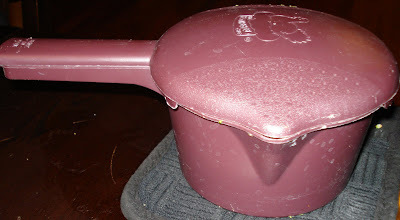 You can steam frozen veggies and thaw out frozen fruit in this. I use it most often on frozen veggies like brocolli, cauliflower, or vegetable medley. I usually season with salt and pepper and add a little chicken or beef broth to give additional flavor and maybe a little butter. Then I microwave for 2-3 minutes until the veggies are to the desired crispness (that is based on personal preference and may take a few time to figure out). Drain and serve! It's literally that simple. 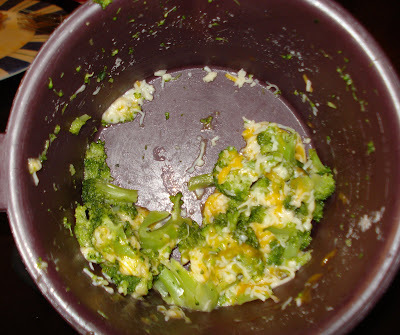 After I steam them, I sometimes add shredded cheese then put the lid back on and it melts the cheese too. Does anyone else have a convenience item or tip to share? I'm always looking for ways to feed my family quicker and healthier! ya know, I used to sell PC and this is one of the items I never bought, but wanted to.... I may just get one now.... I had forgotten all about it. I have one of those and I love it!